Cricket, deliverer of the value, upgraded its “All In” plan line-up this morning by increasing data across their two lowest tier options without raising prices. They also introduced a new 20GB “Advanced” plan that is available for a limited time at just $55. All of these plans still include unlimited talk and text, along with access to AT&T’s 4G LTE network. The Basic and Smart plans now include more 4G LTE data than ever, with the Basic plan jumping from 1GB up to 2.5GB and the Smart plan topping out at 5GB, up from 3GB. The Basic plan still runs $35 (if you sign-up for auto pay) and the Smart plan is also staying the same at $45 (again, with auto pay). 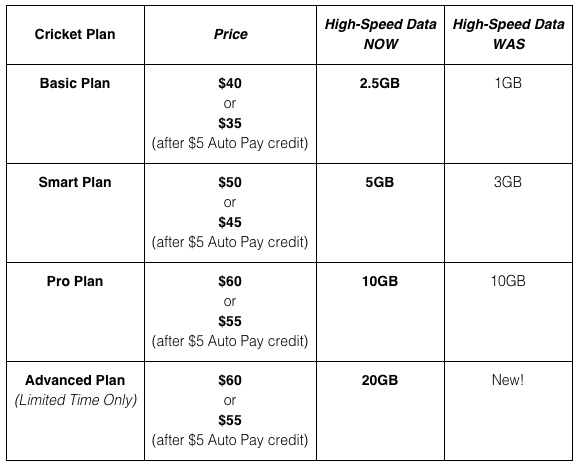 The new Advanced plan is available only for a limited time, but does include 20GB of high-speed 4G LTE data per month at a semi-insanely low price of $55. That’s a lot of data for not much cash. For a limited time, if you switch over to Cricket from another carrier and sign-up for the Basic, Smart or Advanced plans, they will toss in a month of service for free. Thanks, Cricket! 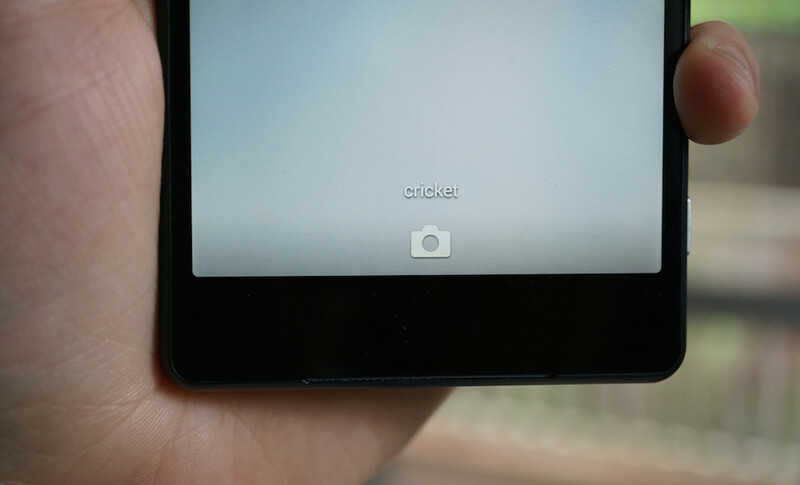 As a reminder, Cricket may use AT&T’s 4G LTE network, but they cap your data speeds at 8Mbps. In other words, your LTE connection is fast, it’s just not insanely fast. Once you use up your data allowance for the month, things get slower, with data speeds dropping to 128Kbps.